When you’re in substantial debt and are unable to keep up with payments, you may find yourself becoming increasingly desperate to find a way out. You may have begun researching debt settlement or debt relief programs, which promise an escape from your consumer debts with minimal impact on your long-term credit history. As with most things in life, however, remember that if it sounds too good to be true, it probably is. Read on to learn more about how participation in debt relief or debt settlement companies often leaves debtors in worse positions than before they began. Most debt relief programs operate by reaching a lump settlement with the individual’s creditors that will eliminate their debt. Debt relief companies will reach out to the debtor’s creditors, offering a lump payment that the creditor will take in lieu of the small monthly payments the debtor had been making toward the debt. If the creditor agrees to this, the debtor will begin making installment payments to the debt relief company that will be paid toward this lump sum. Once the debtor has successfully paid the lump amount, the creditor is paid off. Debt settlement is a great way for some debtors to satisfy their creditors, and to do so for less than the full amount of the debt. However, debt settlement is not a good option for everyone. Many of these programs have come under fire from the Consumer Financial Protection Bureau (CFPB) and other consumer watchdog groups for failing to clearly and honestly explain how debt relief programs work, or for otherwise violating the law. For example, many debt relief companies encourage their customers not to make payments directly to their creditor during their participation in the program. Instead, they’re instructed to only pay installments to the debt relief company toward the settlement amount. However, the companies fail to explain that creditors may still charge fines and late fees to the debtor during this time, and can still sue them for the unpaid debt. Lump settlements often require that the debtor keep up with aggressive payment schedules. Many debtors are unable to keep up, and they give up on the settlement. This leaves the debtors in an even worse position than when they began, due to the fines and interest allowed to accrue during participation in the program. Additionally, many debt relief companies don’t explain to customers that creditors do not always agree to a lump settlement amount. 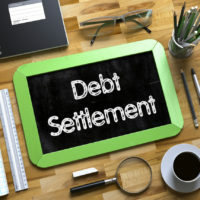 Others will charge debtors a fine for their debt settlement services before any of the debts have been paid off, which is against federal law. Debtors are often better served by securing a bankruptcy and consumer law attorney’s help in attempting to negotiate a lump settlement. Should the negotiation attempt fail, the debtor can then discuss the option of filing for bankruptcy to eliminate their debt. If you’re an Illinois resident facing a growing amount of consumer debt and need help getting back on track, contact the seasoned and knowledgeable Carol Stream bankruptcy lawyers at Johnson, Westra, Broecker, Whittaker & Newitt for a consultation, at 630-665-9600.